News and current affairs programmes dominated the list – taking nine of the top 20 places – with Newsnight, BBC Breakfast and the Victoria Derbyshire show all making the top 10. Light entertainment shows the Eurovision Song Contest and Strictly Come Dancing, as well as EastEnders, also appeared in the top 10 most tweeted about programmes, TV Licensing said. Countryfile, Top Of The Pops 2, Casualty and The One Show also feature in the top 20. TV Licensing spokesman Michael Collins said: “Throughout 2018, unmissable TV moments have united fans, sparked debate and compelled viewers to join the conversation on social media, with watching and tweeting going hand in hand as part of the viewing routine. 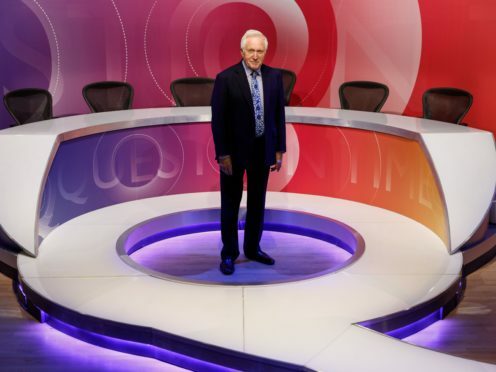 Last week, news presenter and Antiques Roadshow host Fiona Bruce was confirmed as the new presenter of Question Time, replacing David Dimbleby as the first female presenter of the current affairs panel show.